Bertsch Panta 3 Corner Leisure Building : The Bertsch Panta 3 Corner Leisure Building features two seperate rooms creating a really versatile building. 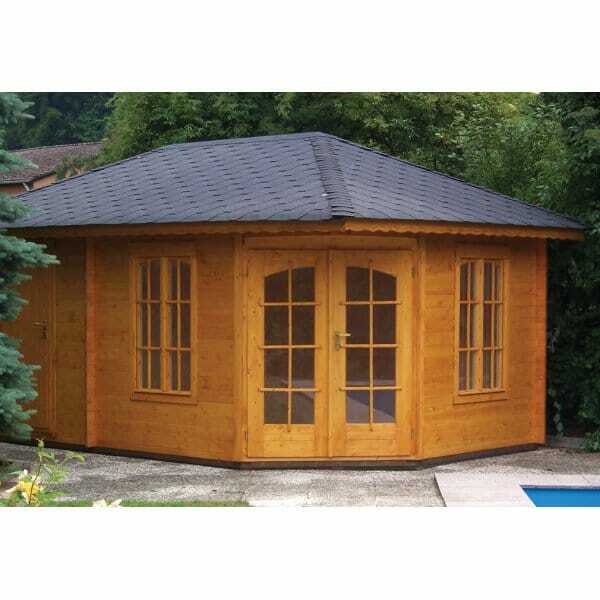 The front part of the building is ideal for use as a summer house, home office or leisure room whilst the back room, can be used as a shed, storage area or as a changing area and can be accessed by its own external door. The glazed double doors and windows on each side offer a light and airy building whilst the high quality construction ensure it is perfect for year round use.